Mark and Matt are joined by the man behind the pkrgssp blog, Jeff Walsh, to discuss the latest developments in the world of poker. AP is now looking at bankruptcy, and this throws player funds deeper into question. Also, fresh news about the FS+G league and the WSOP on this week's Rabbit Hunt! The DOJ dropped an A-bomb on the online poker industry Friday, and, as you’d expect, the impact was devastating. Within hours of the DOJ’s indictments, PokerStars and Full Tilt Poker had shut down real money gaming in the US, effectively killing online poker and leaving millions of customers with nowhere to play. 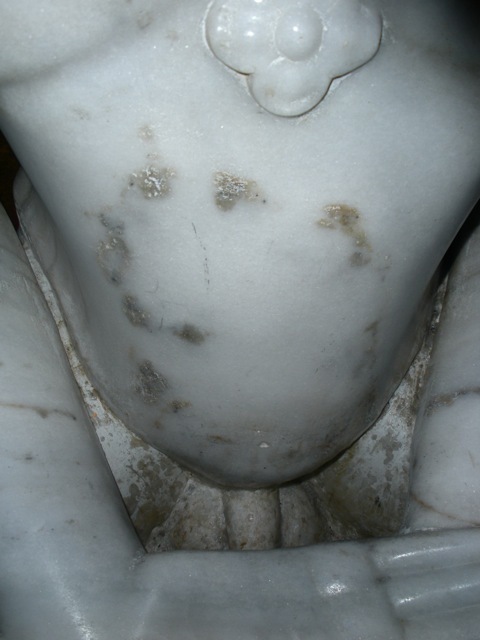 And while the sites are scrambling to readjust to a world where approximately 40 percent or more of their business just disappeared and mount legal defenses for themselves and their executives, the fallout from Friday’s bombshells continues to spread far and wide from its epicenters in Dublin and the Isle of Man. I could go on, but I’ll just end up depressing myself and that’s no fun. While Full Tilt and Stars were certainly the two biggest poker sites operating in the states, their reach extends far beyond the virtual felt. Until Friday, these sites were the drivers of a whole industry that revolved around their players, television programs and live tournaments around the world. With the sites gone, the poker economy they supported is sure to follow. As I write this, a number of my friends are getting trashed on Pisco Sours down in Peru, where they’re covering the end of an LAPT event for PokerStars and PokerNews. The sad fact is, though, this may be the end of poker reporting as we know it. Providing live tournament coverage is expensive and resource-intensive, and sites like PokerNews can’t exist without financial underwriting provided by sites like Stars and Tilt. With those players now out of the US market, there’s no reason for them to be spending resources on tournament reporting when that money can be better spent on the high-priced legal teams they’re undoubtedly going to need to put in place. Bottom line – that WSOP coverage that everyone has been gearing up for next month probably isn’t going to happen. But also a place that the World Series of Poker and so many of us connected to it have long called home — at least for most of our 21st century summers. Credit @LasVegasMichael for getting the pseudo-confirmation and other info as it emerges. I’ve long held that Caesar’s would be the most likely new home of the brick-and-mortar equivalent of CaesarsCasino and CaesarsBingo dot coms. But early word without having talked directly to all those people we know extremely well and would be the ones who actually do know … Planet Hollywood … that will be the new home. 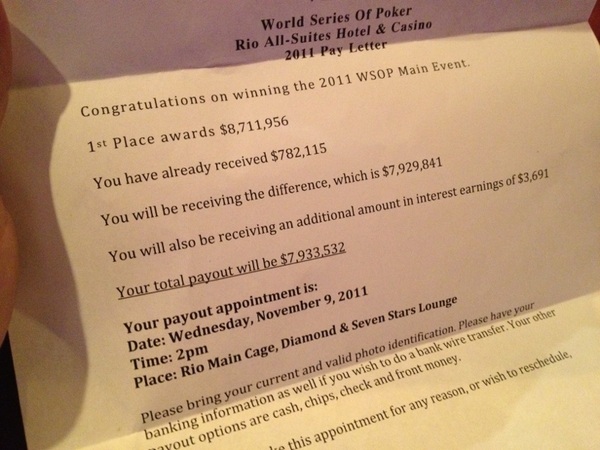 Again, all of this technically unconfirmed, but place your bets on the wherabouts of the 2011 WSOP-Ho here. This one goes to 11: Rob Gusman and Danny Egelhoff knew there had to be a better way to watch poker — all they needed was a high-resolution camera with 11 lenses digitally stitched together. 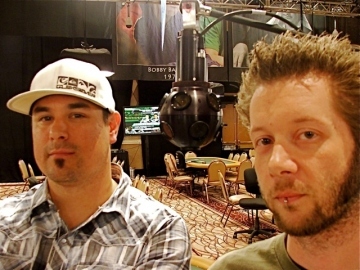 Fast-forward to the 2010 WSOP … Egelhoff, 31, and his partner, Rob Gusman, 34, are founders of All 360 Media, an upstart video company launching what some are saying could be the most significant technological advancement in poker since the hole-card cam. For the past six weeks, these friends of 10+ years have camped out in a makeshift bunker across the hall from the Amazon room. In addition to powerful computers, video equipment and an all-in-one printer/copier/fax, there’s an air mattress, mini-fridge, and 4-cup coffee-maker — all of which have played a role in bringing their vision to fruition. This is Egelhoff’s fifth Series, Gusman’s first. Taped to the wall by one of their monitors is a letter from the Nevada Gaming Control Board, approving All 360 Media to record limited casino action with these strange cameras the GCB had never before seen. The device looks something like a studio boom-mike outfitted with a Magic 8-ball at its end. It’s actually a special camera (they have two of them) with 11 different lenses all pointing in different directions, packed into a small black orb, and digitally stitched together to provide a seamless view of an entire poker area. The set-up is so new it doesn’t yet have a name. But it uses the same basic technology that Google Earth deployed to map out the planet … upgraded and customized for watching poker.